Willing to have superior Andover MA landscaping services? You just did it by visiting us at Corliss Landscape & Irrigation. We work only with top-quality landscape sculptors, artists and fabricators to make sure that the landscaping work takes into consideration people/material movement, weather, ground contours and soil quality in equal measure to produce a sustainable piece of art. With the finest and experienced teams at work, we provide landscaping services that are not only pleasing to the eye but also are highly functional and maintainable. Being reliable and a landscape company in Andover, Massachusetts that you can count on, we serve clients across Andover MA and nearby. We have attractive, budget-friendly and trustworthy services for both residential and commercial properties. Our teams of professional landscaping service providers are proud to continue to earn a good reputation across the locality and nationwide as well by delivering reliable, excellent and consistent work via uniformed professionalism. 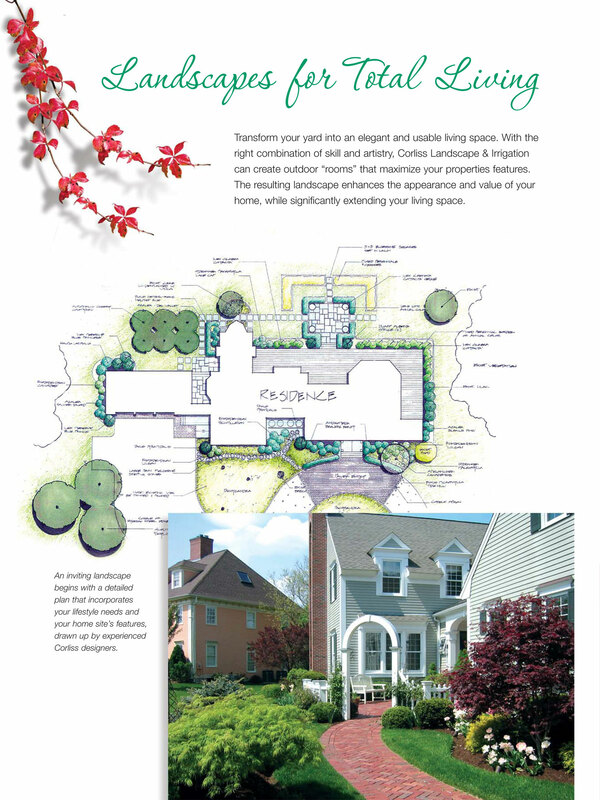 Why Should You Choose Corliss Landscape & Irrigation as Your Massachutess Landscape Company? So, consider our e-profile and choose us not because of trust but because of years of experience we have in dealing with customers-at-first fastest landscaping services. Where to Find the Right Landscape Company across Andover MA? Google with ‘landscape company near me’ and we’ll be waiting for you there to help with our one-of-its-kind landscaping services, irrigation service, landscape maintenance, retaining wall contractor. Trust us; you’ll be relieved from a headache just by a phone call to Corliss Landscape & Irrigation.